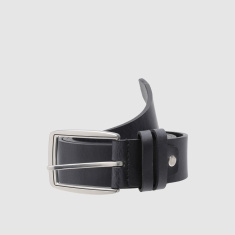 Wear this belt to enhance the formal look of your clothing. It ensures that your trousers have a good fit. The buckle closure makes it easy to open and close the belt without any hassle.